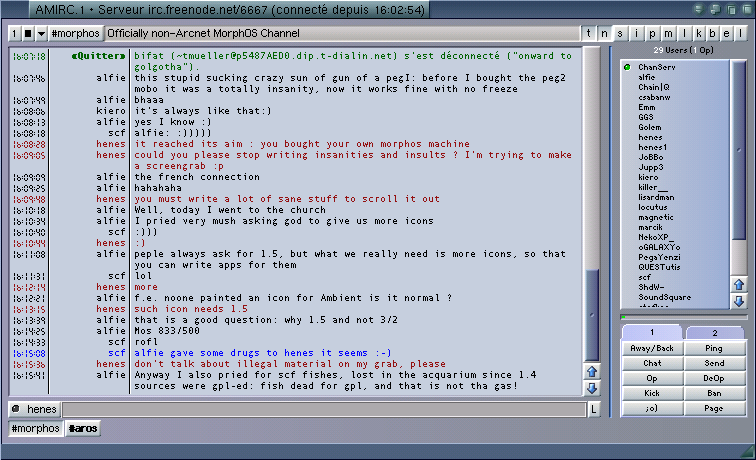 AmIRC - Simply the best IRC client ever. AmIRC was ported to MorphOS in 2004 and many new features and improvements were added. This version was made possible with the kind permission of the Vapor team. Thank you guys (*all* of you!). Latest AmIRC version can be downloaded from www.amirc.org.